Put a Funko spin on Harry’s second year at Hogwarts in Harry Potter and the Chamber of Secrets . 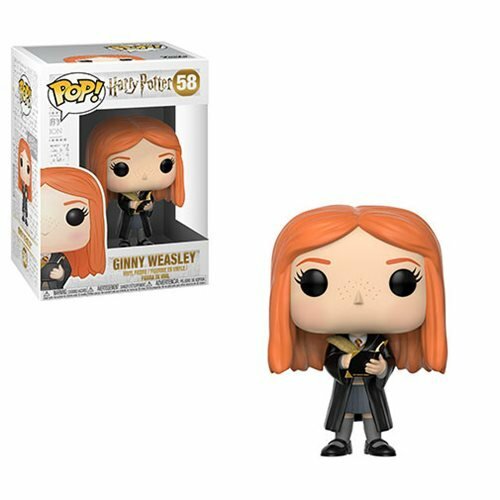 This Harry Potter Ginny Weasley with Diary Pop! Vinyl Figure #58 measures approximately 3 3/4-inches tall. Comes packaged in a window display box. Ages 3 and up. Made in China.